Keiichiro Shibuya composed new music and was shot as a model for the campaign. 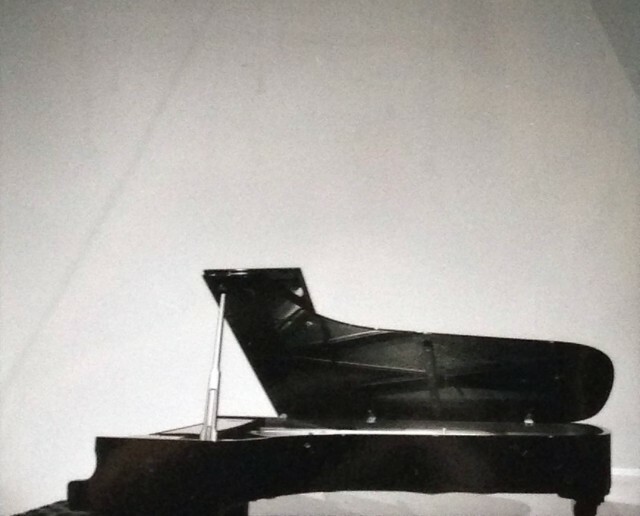 Keiichiro Shibuya gives piano solo concert with neither speakers nor microphones at the venue in which “ATAK015 for maria” originated 7 years ago. A labyrinth of the music that doesn’t want to fall out if I am at a loss and am crowded. Welcome to the liberation of the good-quality sound on the day. Keiichiro Shibuya releases new album “Live in Paris”. Online distribution will starts on 22 July 2015. Performing sold-out 3D concerts around the world, boasting over two and a half million Facebook friends and singing an incredible repertoire of more than 100,000 user-released songs, Hatsune Miku is possibly Japan’s greatest pop star. Now artist Keiichiro Shibuya features Hatsune Miku in his creation The End, the first Vocaloid opera – an opera without an orchestra or human vocalist, constructed from multi-screen 3D images and electronic sound. The only performers who appear are Hatsune Miku, an animal character (virtual as well), and – the only living human – Keiichiro Shibuya, a musician constantly pushing the frontiers of music. Miku begins her journey by asking herself: ‘will I die?’ For, in spite of the special Louis Vuitton designed outfits, she is not a real human being, but originates from voice synthesizer software by Japanese company Crypton Future Media. Travelling through a virtual world, accompanied by Shibuya’s score of minimal techno and EDM, modern and contemporary classical music and sound art, Miku goes in search of the paradox of her own existence. The cafe “In Spring It is The Dawn” in the Roppongi Art Night 2015 hold the special event, “In Spring It is Dawn Cafe DJ NIGHT produced by J-wave”. You can experience the original programs combined live paintings, brain waves visualization and DJ. In 2012 ‘Techno udon’ was born from an idea, “how about we stepped on udon instead of dancing to techno”. We extend a scale more at this time! It is hold at the Tokyo Tower studio! Robots conférenciers, poètes androïdes et réfrigérateurs ventriloques peupleront cette journée thématique qui vise à approfondir la question de l’humain, présente en filigrane dans les projets de divers créateurs du Bord des mondes. Les transformations génétiques, les performances techniques et technologiques, mais aussi le contexte économique global et son rapport à la productivité remettent en cause la division communément admise entre le naturel et l’artificiel, l’organique et le mécanique et questionnent la nature humaine en ce qu’elle devient artificiellement reproductible. L’identité, le rapport à l’objet et la relativité de l’anthropocentrisme seront abordés à travers une série de conférences, de performances et d’un programme vidéo pensés pour l’occasion. Les conférences auront lieu en anglais. Robots, androids and ventriloquists refrigerators this theme that aims to deepen the question of the human, this watermark in projects of various creators of the Edge of the Worlds. Genetic transformations, technical and technological performance, but also the overall economic environment and its relation to the productivity challenge the commonly accepted division between the natural and the artificial, the organic and the mechanical and question human nature in it becomes artificially reproducible. The identity, to the object and the relativity of anthropocentrism will be addressed through a series of lectures, performances and a video program designed for the occasion.